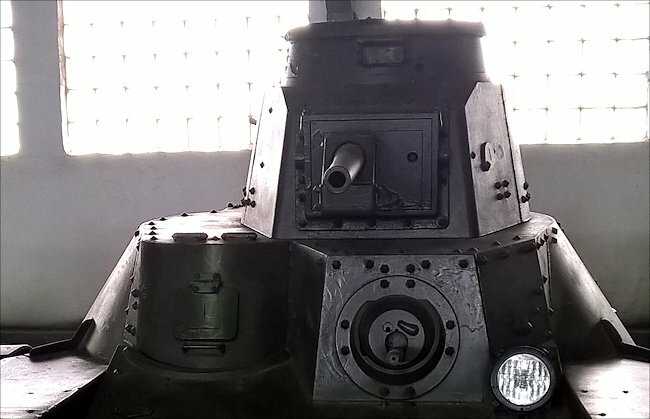 The Russian Tank Museum at Kubinka has a collection of captured World War Two Japanese tanks including a Type 95 Ha-Go Light tank. It is a war often forgotten by the rest of the world. Russian as one of the Allies was fighting on two fronts during WW2. To the West against the Germans and in the East the Imperial Japanese Army. 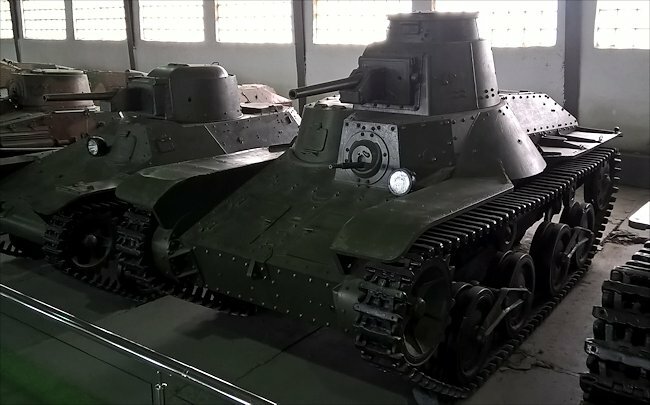 The Imperial Japanese Army's Type 95 Ha-Go light tank was designed in 1933 and produced between 1935 and 1943. Records show that2,300 were built. It had a crew of three: commander/gunner, hull machine gunner and driver. It had an armour thickness that ranged between 6 mm and 16 mm. it weighed 7.4 tonnes. 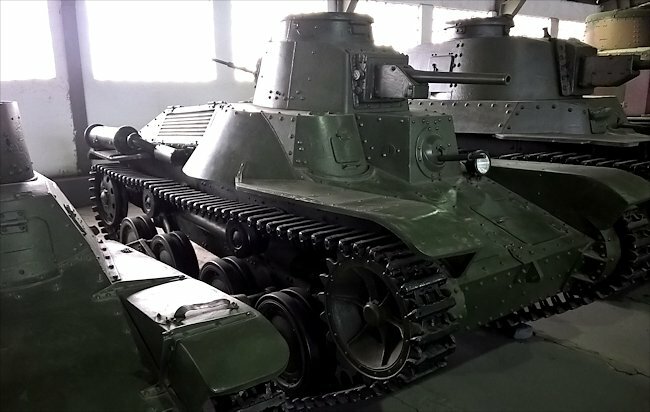 It was armed with a 37 mm type 98 anti-tank gun and two 7.7 mm type 97 machine guns. It was powered by a Mitsubishi A6120VDe air-cooled inline 6-cylinder 14.4 L diesel engine and produced 120 hp. It had a maximum road speed of 45 km/h (28 mph) and a range of 250 kilometres (155 miles).